Nobody had answers. Yet the more intense the feelings a piece of music provoked, the more her curiosity grew. She tried to sing Anne’s Aria from Stravinsky’s The Rake’s Progress, and it gave her fits because the words and their stresses didn’t line up comfortably with the rhythm of the music. That produced a frustrating cognitive dissonance — and with it, a strange fascination. Why, she wondered, did language and musical meters produce such a powerful balm when they synced up, and distress when they didn’t? Those ruminations led Gordon where she is today — not to Noah Liff’s center, but to Bill Wilkerson’s. The Bill Wilkerson Center at Vanderbilt University Medical Center houses one of the nation’s top ear, nose and throat institutes. Singing stars come here to have their vocal chords repaired and leave signed gold records for a growing wall display. Top-flight surgeons remove throat cancers in these suites, and deaf children have their hearing restored with cutting-edge cochlear implants. It’s also one hub of a coordinated effort to make Vanderbilt a global center for understanding the dynamic interaction of music and the brain — a relationship that may prove pivotal in unlocking disorders that have stymied doctors, scientists and researchers for decades. Gordon’s terrain is a new Music Cognition Laboratory, a nascent enterprise whose name promises something a bit more high-tech than its current components: some mismatched furniture, cardboard boxes with consumer-grade audio gear, a dry-erase board with some scientific squiggles, a bouncy-ball office chair. Yet scientists across many disciplines — including Gordon, who holds a Ph.D. in neuroscience — have a mandate here to consider the same questions she asked herself more than a decade ago. 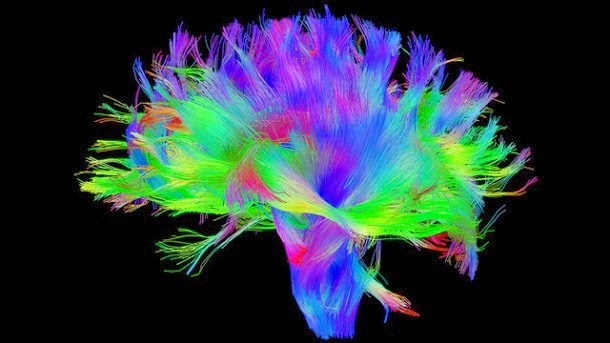 Brain science is exploding because of ever-improving imaging and time-mapping techniques. These have produced exciting and unexpected discoveries about music as a tool for better understanding and treating (or relieving) some widespread disabilities and illnesses: autism, PTSD, Alzheimer’s disease, Parkinson’s disease, learning disabilities, depression, pain management and other disorders and pathologies. The ancient, intuitive understanding that music heals is undergoing a thorough scientific examination.